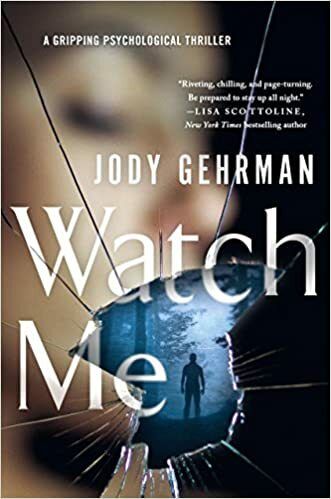 I am delighted to be sharing “Watch Me” by Jody Gehrman. The lovely people at St Martin’s Press allowed me an eARC of this book via NetGalley. It is available from today in hardback and eBook and 1st Feb for the paperback on Amazon UK there is a slight difference on the formats released on Amazon US. Kate, divorced, teaches creative writing. She had success with her debut novel but following that one up with another is a bit more challenging. She is a thirty something who is stuck in a rut and is feeling invisible. When Sam, a student shows a little more respect, is civil and more attentive than others, Kate pays attention. She is aware of the teacher-student boundary and does not want to cross the line as her job, career and reputation. She likes Sam, but doesn’t realise his actions have all been meticulously planned by Sam, her star pupil. This is an intriguing as well as an enjoyable creepy psychological thriller. Creepy and enjoyable are not words I would normally associate, but they work for this book. Told in quick alternating chapters from the viewpoint of the two main protagonists Kate and Sam. To be in the head of Sam is quite an interesting perspective and also insightful as he sees no problem with what he is doing. It is quite bizarre thing to admit, but I did actually like his character and felt quite sorry for him. Jody has done a great job creating quite a complex character with obsessive traits, but also explaining the reasoning behind his actions from his perspective. Kate however I didn’t warm to as much as I thought I would, she felt a little whiny. It wasn’t that I didn’t like her, but I think as Sam is such a strong character, that Kate felt a little weak in comparison. The plot itself is basic in some respects, but has been wonderfully developed with some good twists and unexpected turns. Its pacing gradually speeds as the story unfolds, but on occasions I did feel that some descriptions were a little long, but that could be me being impatient and greedy in wanting to know what was happening with the characters. This is a book that I found enjoyable, creepy and had a good feeling of believability to it. Ideal for those who like a good suspense psychological thriller and one that I would recommend. I would like to thank St Martin’s Press and NetGalley for my copy of this book. My thoughts are my own and unbiased. Jody Gehrman is a pagan at heart. She is a native of Northern California, where real witches thrive, and she has had the pleasure of knowing a few. She is also the author of seven novels and numerous award-winning plays. Audrey’s Guide to Witchcraft is her most recent Young Adult novel. Her other Young Adult novels include Babe in Boyland, Confessions of a Triple Shot Betty, and Triple Shot Bettys in Love, (Penguin’s Dial Books). Babe in Boyland has recently been optioned by the Disney Channel and won the International Reading Association’s Teen Choice Award. Her adult novels are Notes from the Backseat, Tart, and Summer in the Land of Skin (Red Dress Ink). 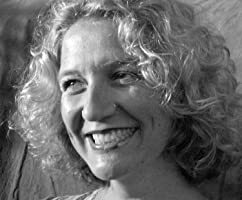 Her plays have been produced in Ashland, New York, San Francisco, Chicago and L.A. She and her partner David Wolf won the New Generation Playwrights Award for their one-act, Jake Savage, Jungle P.I. She is a professor of English at Mendocino College, where she can be found grading papers when she’s not experimenting with spells.